This is our last Sunday before the Pentecost, next Sunday. As our Lenten and Easter season comes to a close, our readings today take on a final closing theme. Our Gospel reading (John 17:20-26) is an excerpt from what is called the High Priestly Prayer of Jesus. It takes place at the end of the Last Supper, just before Jesus is arrested. These were likely the last words the disciples would hear from Jesus directly. The prayer is an intercessory prayer directed to the Father on behalf of his present and future disciples. It is a prayer for unity. 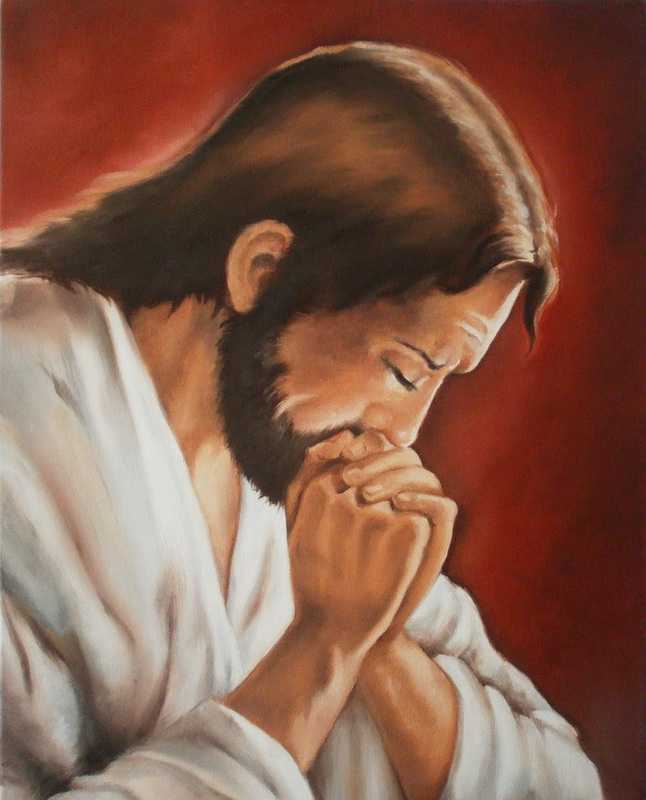 "Lifting up his eyes to heaven, Jesus prayed saying: 'Holy Father, I pray not only for them, but also for those who will believe in me through their word, so that they may all be one, as you, Father, are in me and I in you, that they also may be in us, that the world may believe that you sent me. And I have given them the glory you gave me, so that they may be one, as we are one, I in them and you in me, that they may be brought to perfection as one, that the world may know that you sent me, and that you loved them even as you loved me. Father, they are your gift to me. I wish that where I am they also may be with me, that they may see my glory that you gave me, because you loved me before the foundation of the world. Righteous Father, the world also does not know you, but I know you, and they know that you sent me. I made known to them your name and I will make it known, that the love with which you loved me may be in them and I in them.'" Our first reading (Acts of the Apostles 7:55-60) is an account of the stoning of St. Stephen, one of the first deacons and the first Christian martyr. Stephen was a gifted orator and embarrassed the members of the Sanhedrin when he bested them in a debate. They fabricated false witness against him and put him on trial. Stephen was Christ's disciple to the end, asking God to forgive them just before he died. "Stephen, filled with the Holy Spirit, looked up intently to heaven and saw the glory of God and Jesus standing at the right hand of God, and Stephen said, 'Behold, I see the heavens opened and the Son of Man standing at the right hand of God.' But they cried out in a loud voice, covered their ears, and rushed upon him together. They threw him out of the city, and began to stone him. The witnesses laid down their cloaks at the feet of a young man named Saul. As they were stoning Stephen, he called out, 'Lord Jesus, receive my spirit.' Then he fell to his knees and cried out in a loud voice, 'Lord, do not hold this sin against them;' and when he said this, he fell asleep." Our second reading (Rev. 22:12-14, 16-17, 20) is taken from the very end of the book of Revelation, literally the last words of the New Testament. These are John's parting words and the close of his vision of the end times, the second coming of the Lamb, the Lord Jesus. "I, John, heard a voice saying to me: 'Behold, I am coming soon. I bring with me the recompense I will give to each according to his deeds. I am the Alpha and the Omega, the first and the last, the beginning and the end.' Blessed are they who wash their robes so as to have the right to the tree of life and enter the city through its gates. 'I, Jesus, sent my angel to give you this testimony for the churches. I am the root and offspring of David, the bright morning star.' The Spirit and the bride say, 'Come.' Let the hearer say, 'Come.' Let the one who thirsts come forward, and the one who wants it receive the gift of life-giving water. The one who gives this testimony says, 'Yes, I am coming soon.' Amen! Come, Lord Jesus!" Last Thursday, we celebrated the ascension of Jesus. And now, we move into the conclusion of the Easter season as Jesus fulfills his promise that the Father would send the Spirit to guide us. And so, we anticipate the Pentecost next Sunday. It is this Spirit, the product of the Love between the Father and the Son, who continues to guide and sustain us in our Christian life as we wait. Amen! Come Lord Jesus!